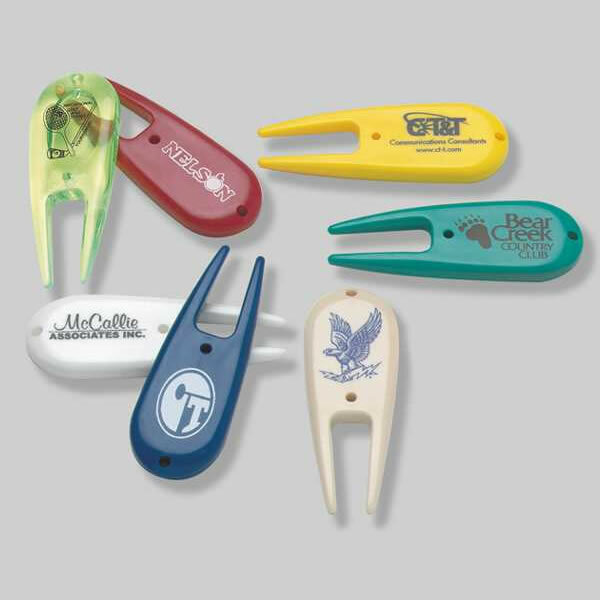 Repairing your pitch marks is essential etiquette for every golfer and we have the tools to make sure that you do it right! 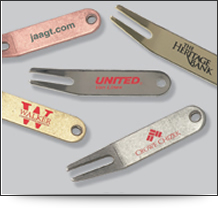 You have seven styles of repair tool to choose from, onto which, we can print or emboss your details for total customisation. 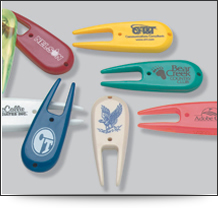 With the largest print area available, the plastic pitchfork has become the industry standard in golf repair tools. 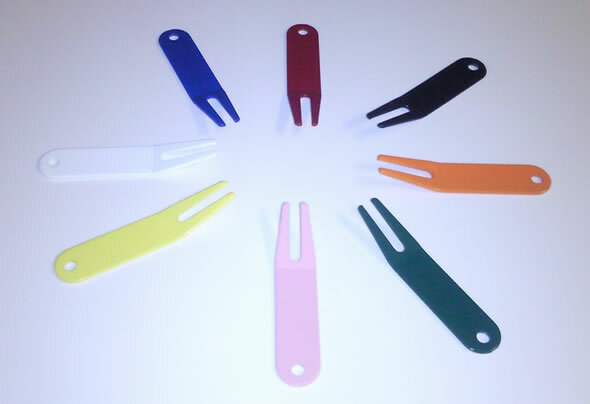 You can order this personalised pitchfork in a range of colours and print your company logo in one or two colour to match your corporate identity. 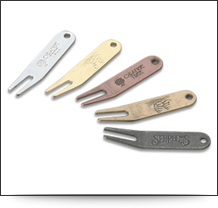 Available in Pewter, Silver, Antique Brass and Copper. 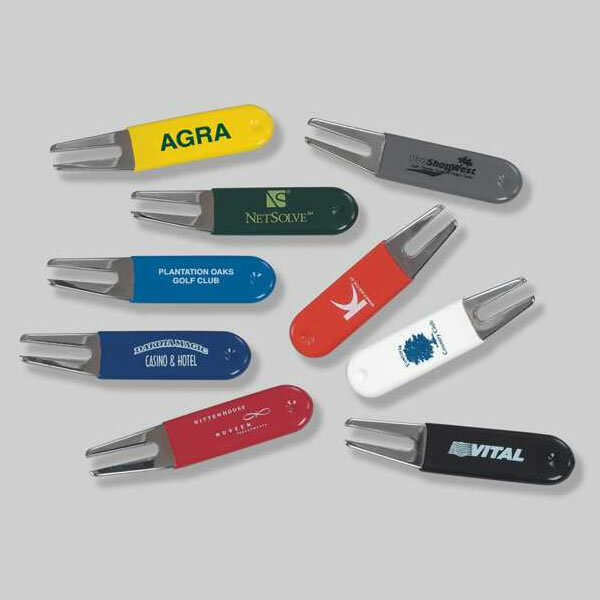 The metal fork can be printed in the colour of your choice to match your company logo. 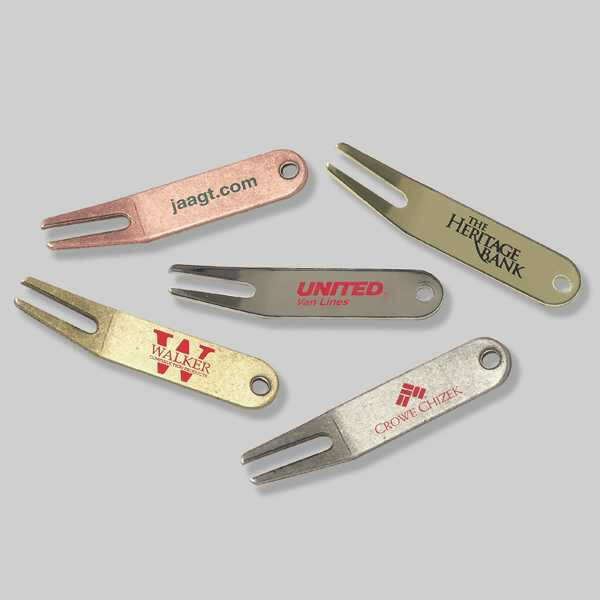 The same repair tool but with a soft, durable rubber coating that reproduces your printed logo or marketing message perfectly. 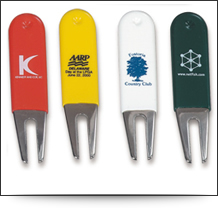 Your message will really stand out on one of these tough powder-coated forks! 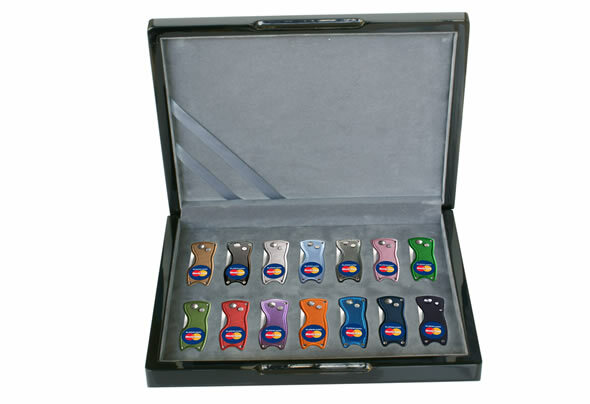 Combining our best style with a great range of colours. 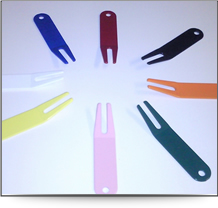 Why not add some colour to your forks? 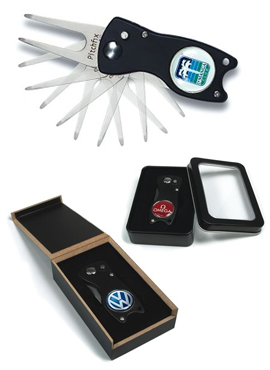 Embossing is the classiest solution, but with minimums of only 1000 tools, it is also very cost-effective!. 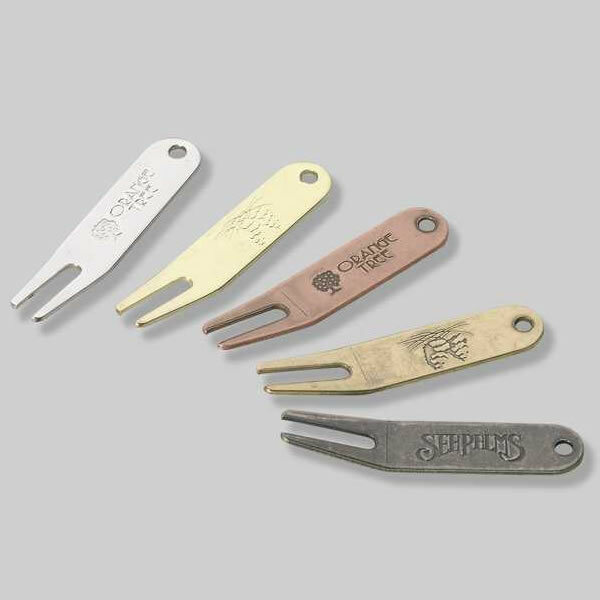 Available in all the same colours as the standard bent-metal forks. 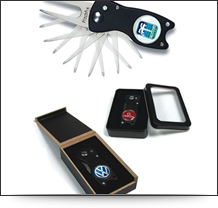 Proving to be the most innovative combined tool around, Pitchfix has retractable forks and a magnetic resin-domed ball marker, With a range of packaging options, including a window-fronted tin and a carbon-fibre look box, recipients will be absolutely delighted with Pitchfix! The new "Classic" Pitchfix takes this highly successful concept even further forward. 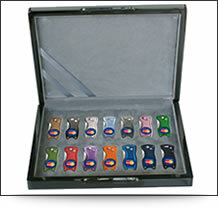 With a range of coloured bodies available for the tools, they will complement your logo colours in a fresh, stylish way.